At the conclusion of the final placement process at the Indian Institute of Management, Ahmedabad (IIM-A), for the 2019 batch of the flagship postgraduate programme in management, 'dream job' applications stood at 143, down from 176 last year. Under the 'dream job' category, students are provided with the flexibility of applying to firms of their choice in a subsequent cluster even if they have an offer in hand. 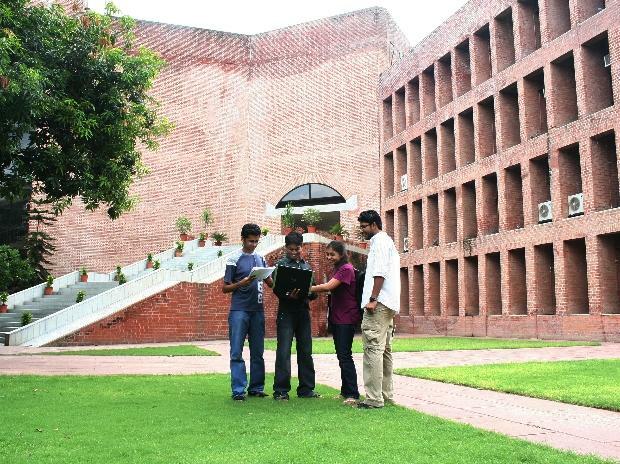 IIM-A, which follows a cluster-based system for its final placement process, where a group of sectors or cohorts are placed together, wrapped up the process across three clusters. The consulting sector emerged as the top recruiter. In all, 139 firms, including 33 new recruiters, participated in the placement process in 2019 with 184 different roles. The firms making the most offers on campus included Accenture Strategy, The Boston Consulting Group (BCG) and Flipkart. At 24, Accenture Strategy made the most offers, including pre-placement offers, at the end of the process. It was followed by BCG with 20 offers. Among investment banks, Avendus was the largest recruiter, making nine offers, followed by JP Morgan with eight offers. In the sales and marketing domain, Hindustan Unilever extended the most offers at five, followed by Mondeléz and Wipro Consumer Care with three each. With nine offers, the Aditya Birla Group was the largest recruiter in the general management cohort. In the retail B2B and B2C cohort, Flipkart extended the most offers at 14, followed by Amazon with 11. In the Consumer Tech cohort, Paytm was the largest recruiter with 10 offers, followed by Microsoft with eight offers. Firms from multiple domains participated across the three clusters in final placements, with students being placed across more than 23 cohorts, including a new cohort of media and advertising firms. This year, the private equity and venture capital (PE/VC) cohort witnessed a 200 per cent increase in participating firms vis-à-vis last year and included recruiters like Matrix Partners and SAIF Partners. The final placements this year at IIM Ahmedabad saw two students opting out of the process to work on their own venture, under the guidance and mentorship of the Centre for Innovation Incubation and Entrepreneurship (CIIE). Meanwhile, a detailed audited placement report, as per the Indian Placement Reporting Standards (IPRS), is awaited. IIM-A had introduced IPRS in an effort to bring about greater transparency in B-school placements across the country. The IPRS report for 'Final Placements 2019' will be released six months from the date of completion of the process.